A few months ago, I decided that I would gather some herbs from our existing house to use as a ritual for our new home. My intention is to create smudging sticks to clear the space of our new home and bring in energies of our current home. 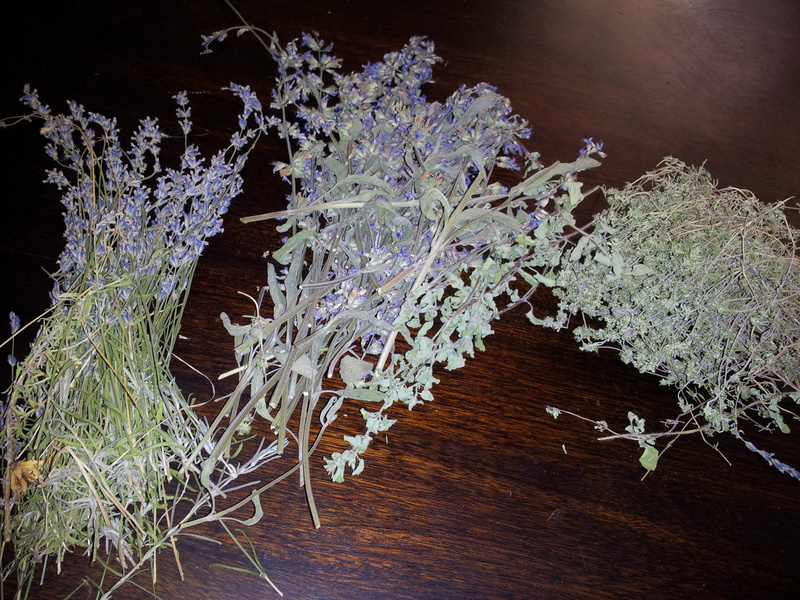 I collected sage for wisdom, lavender for purity and peace, and thyme for the freedom and time to enjoy our new home. I planted these herbs several years ago, and have watched them come back season after season. They are like old friends to me. These were all picked when they were blossoming in the spring and early summer. 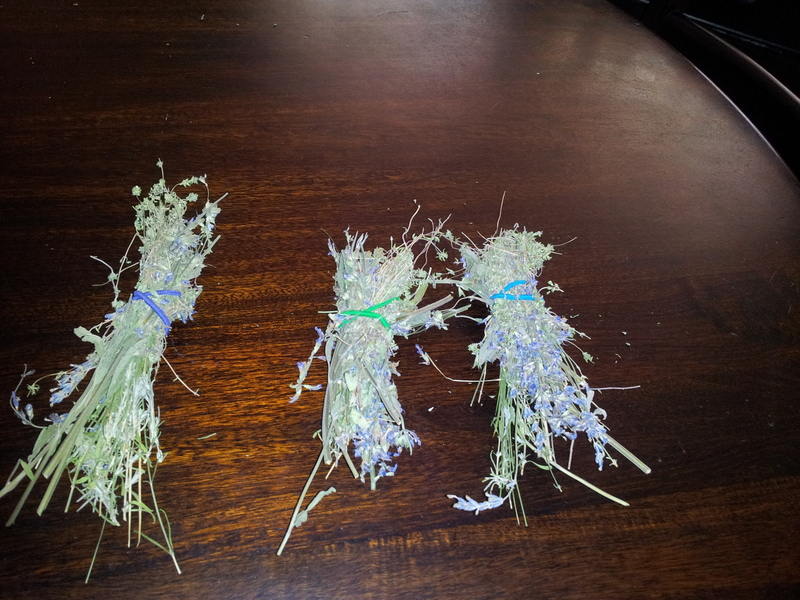 Here are three smudging sticks for our home blessing to come. They don’t look like much yet, but it’s the intention that counts. Now, I am searching for a good blessing to use in this process. John O’Donohue wrote a wonderful book of blessings called To Bless the Space Between Us which has many wonderful blessings. Home is where the heart is. It stands for the sure center where individual life is shaped and from where it journeys forth. What it ultimately intends is that each of its individuals would develop the capacity to be at home in themselves. This is something that is usually overlooked, but it is a vital requirement in the creativity and integrity of individual personality. It has to do with the essence of a person, their sense of their own inner ground. When a person is at home in his life, he always has a clear instinct about the shape of outer situations; even in the midst of confusion he can discern the traces of a path forward. When one is at home in oneself, one is integrated and enjoys a sense of balance and poise. In a sense that is exactly what spirituality is: the art of homecoming. that is a wonderful blessing. i have never thought about home in exactly that way before.